November is National Family Caregiver’s Month, a time to celebrate those who dedicate themselves to caring for others. The CareGiver Partnership aims to help caregivers care for themselves as well, with 25 Healthy Tips and daily Tweets. In commemoration of National Family Caregiver’s Month beginning Nov. 1, The CareGiver Partnership will Tweet daily healthy tips for caregivers throughout the month. A full-length compilation of all 25 Healthy Tips also will be available as a PDF on The CareGiver Partnership site. 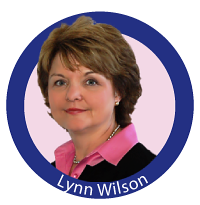 “Because being a family caregiver requires a high level of compassion and personal sacrifice, it’s easy to neglect one’s own health and interests, and that can lead to burn-out,” says Lynn Wilson, an experienced caregiver and Co-Founder of The CareGiver Partnership. Keep a journal in which you can acknowledge your feelings and plan the week’s activities. Stay connected through online resources, such as forums, Facebook communities and Twitter feeds. Spend unhurried quality time with your loved one. Look at photos, read or just talk. Tell family members you may need help at some point and you expect them to pitch in. “Family caregivers are so focused on caring for others that they often neglect themselves. Yet, to do the best we can for care recipients, it is vital for caregivers to take steps to make time to care for themselves,” says Gail Hunt, president and CEO of the National Alliance for Caregiving (NAC). Follow Caregiver Tweets for daily inspiration, or download the full-text PDF. The CareGiver Partnership also offers caregivers personal advice, helpful content, a supportive community of caregivers, the most extensive online library of easily accessible family Caregiver Resources, and an extensive selection of home healthcare products, supplies and services. Caregivers’ Monday is an initiative from The Monday Campaigns, a nonprofit organization founded in 2005 in association with Johns Hopkins, Columbia and Syracuse Universities. 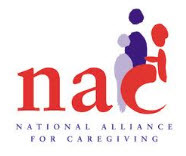 The National Alliance for Caregiving is a nonprofit coalition dedicated to conducting research and developing national programs for family caregivers and the professionals who serve them.